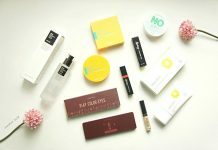 Starting my first 2018 post with a review on a brand which is becoming popular lately due to their cute packaging and quality products, cute packaging is always my weakness and recently I came across a brand which is over loaded with great and utmost cute products. 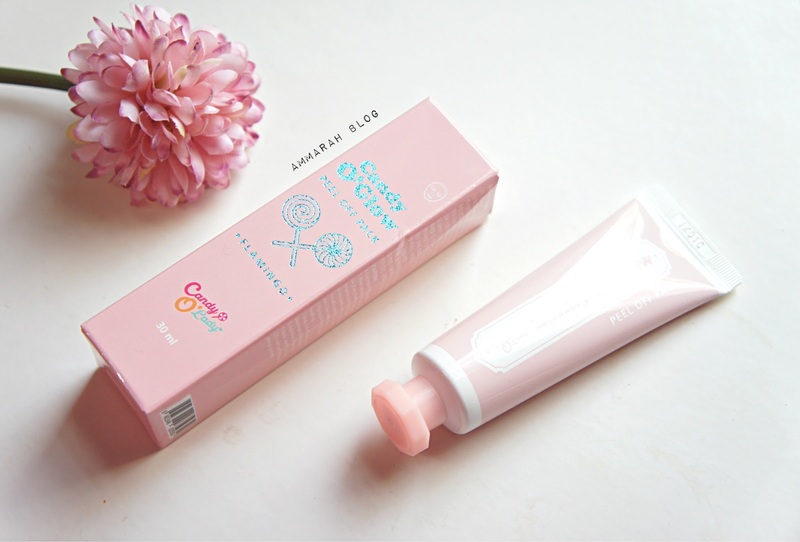 The cuteness can be measure by the name of the brand called ‘Candy O’ Lady’ products are made by plastic surgery hospital and the unique cute designs are developed by makeup artists which makes this brand special. 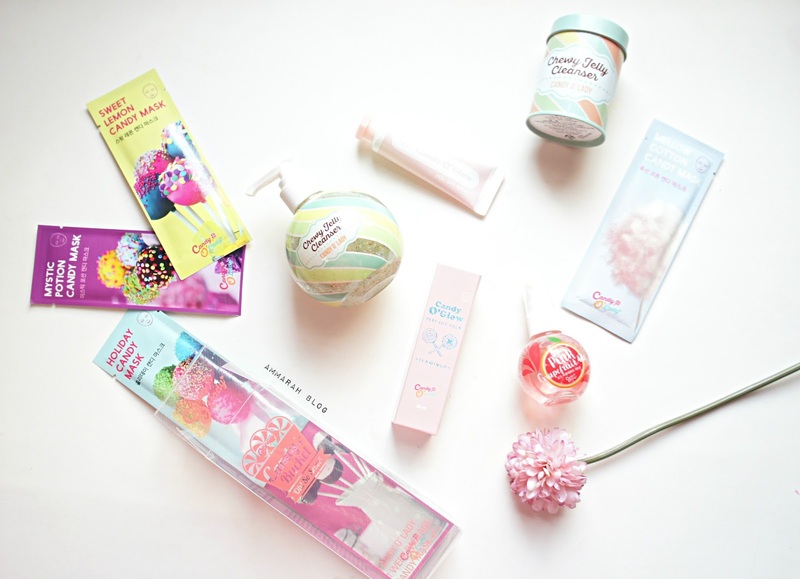 The packaging is just so adorable that people like me just can give all of my money to them. Candy O Lady is a Korean brand, Candy O’ Lady with the unique design and development form the products which are created by skillful makeup artists. 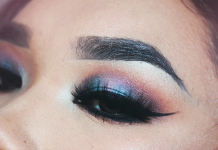 Their goal is to make the sweet cosmetics and quality products that will make you beautiful, with the quality/safety/control from our own lab in the Plastic surgery hospital. 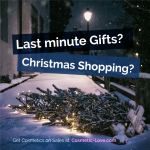 They are providing an optimized and upgraded skincare products that makes your skin flawless. 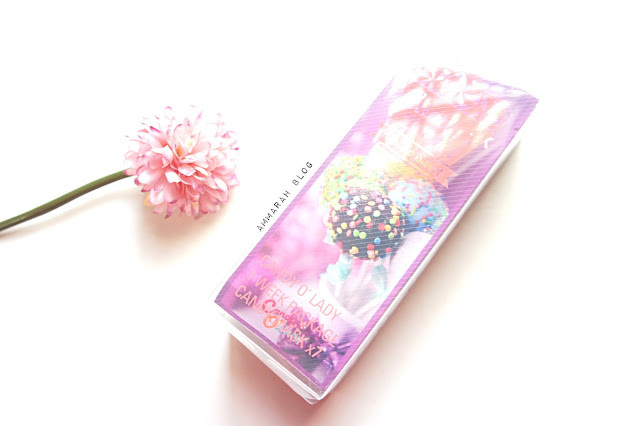 Candy O Lady is like a sweet little desert in the special moment of our life. 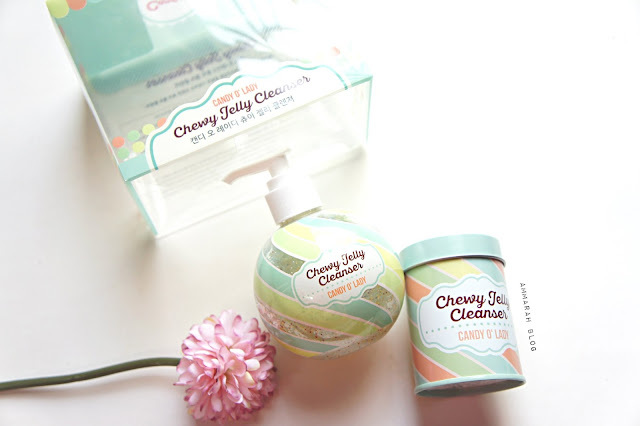 The Candy O lady has introduced the two cleanse and both have an amazing packaging again,I got the Chewy jelly cleanser while there is another cleanser called Candy crush cleanser which is in a powder ball form and that also deep cleanse and moisturize the skin. Water, Cocamidopropyl Betaine, Ammonium Lauryl Sulfate, Acrylates copolymer, Coco-Glucoside, sodium Laureth Sulfate, Lactose, Butylene Glycol, Methylpropanediol, Rosa Canina (Rosehip) Fruit Oil, Punica Granatum Fruit Extract, Vaccinium Angustifolium (Blueberry) Fruit Extract, Opuntia Coccinellifera Flower Extract, Portulaca oleracea Extract, Honey Extract, Hamameis Virginiana (witch Hazel) Extract, Cordyceps Sinensis Extract, Hydrolyzed Collagen, Sucrose, Zea Mays (Corn) Starch, Tocopheryl Acetate, Sodium Chloride, Microcrystalline cellulose, Hydroxypropyl Methylcellulose, Disodium EDTA, Triethanolamine, Ethylhexylglycerin, 1,2-Hexanediol, Ethyl Hexanediol, Cl 42090, Cl 77492, Cl 77007, Cl 77491, Fragrance. Get more information on ingredients here . Cordyceps militaris: Which anti inflammation, inhibit flush and helps in calming the irritated skin. Rosehip oil: It contains 60 times more vitamin c than lemon, supply nutrition and also helps in moisturizing, fight against wrinkle and is anti-aging. Honey: Works a skin barrier, remove sebum, contains collagen amino acid with the enzyme gives healthier elasticity to the skin. Starting with the packaging I am so in love with the packaging especially the tin container and pastel color combination takes it on the other level.Basically meant for cleansing the skin deeply without stripping it off. It contains the collagen beads with jelly cleanser which makes skin elastic and soft. It contains the 240ml of product and in the cute tin container there are 18 mini pouches /samples which are great for traveling, the amount of product in sample is perfect for one time use so that way no is wasting a product. 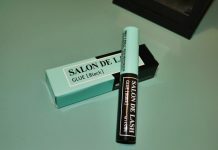 It is hypo allergic jelly/gel texture, transparent cleanser with the multi colors micro beads which contains collagen. I am officially in love with this cleanser and seriously it is so good, it deep cleanse my skin and makes it soft and fresh. The way it smells makes it more perfect to me, it has nice calming fresh scent to it. It claims to work great and powerful as two cleansers (oil + foam cleanser) which is right as this does remove the makeup and skin feels well cleanse afterwards. It makes a nice amount of foam with the 1 pump of product and it feels good on the skin and not harsh at all. Right now I have been using it at night and I simply take a 1 pump of product which is about pea size amount and make a foam and massage it onto the face and rinse it with the lukewarm water. It does clean the pores as well and tighten the skin but does not dry out the skin. Overall I am loving it and have been enjoying it all at. It is mild on the skin yet quite effective cleanser. you can get yours Here . Its one week candy sheet pack set which includes the 7 masks for each day which perform different functions. They also came in a separate pack where you can get your favorite one in a set form which contains 5 sheet pack each. The concept is one sheet mask per day! Pick the one that you need most for the day. I only used one until now but seriously I am beyond impressed. 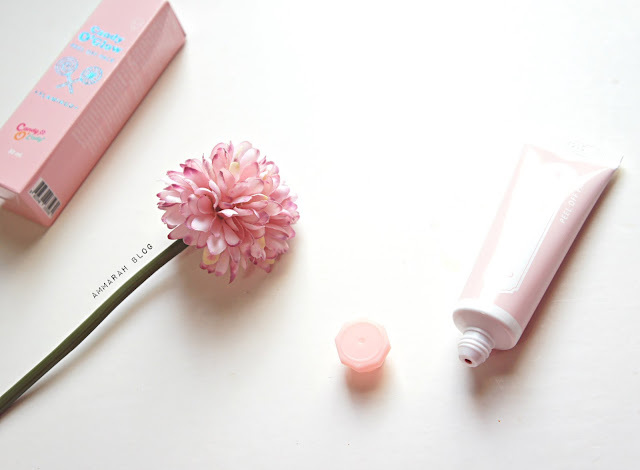 First the packaging is so adorable and secondly it is so compact that you can simply toss it into your bag or purse. 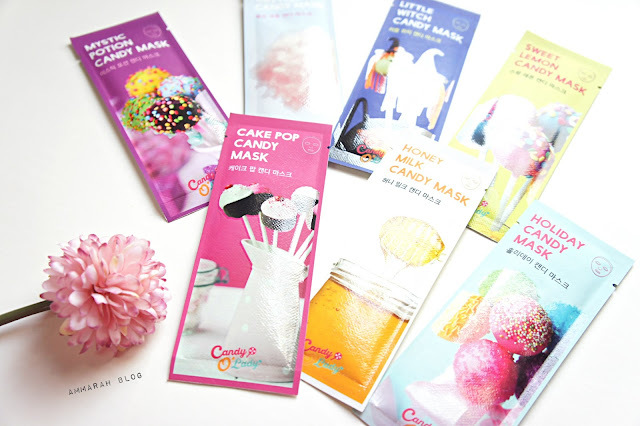 The candy mask pack are available in these seven different packs and each pack concerns a different skin problems with the natural beneficial ingredients. 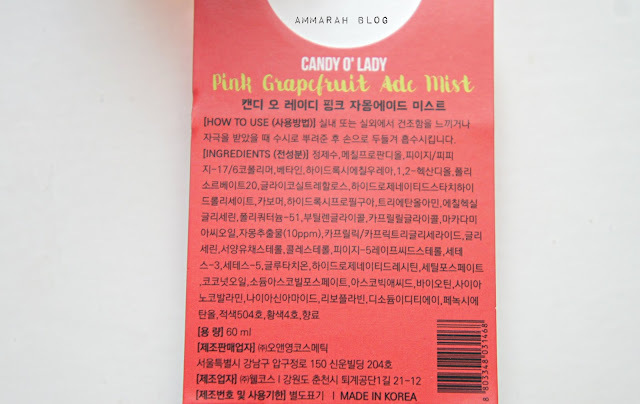 Sweet lemon candy mask is for brightening. 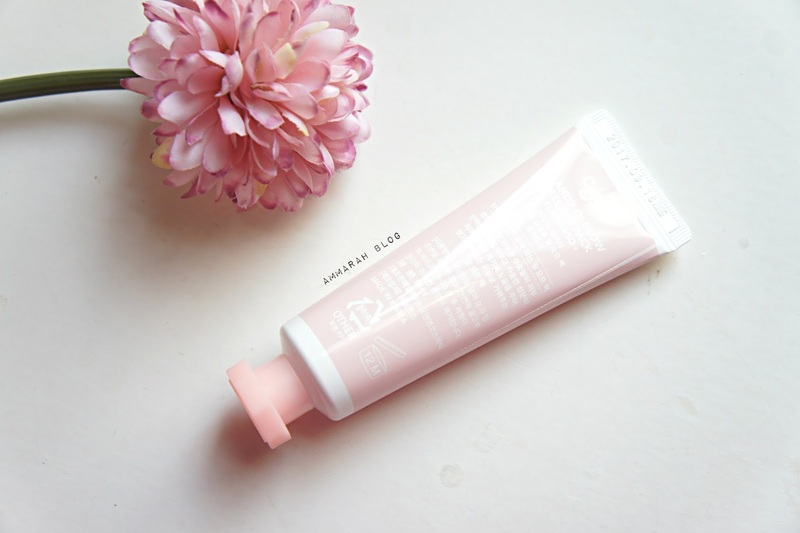 Mellow cotton candy mask for softening. 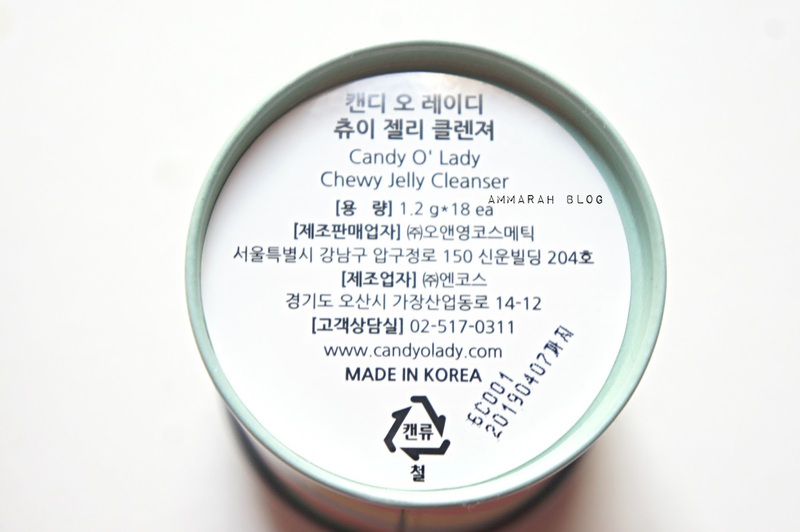 For dewy skin holiday candy mask. Mystic potion candy mask for detoxing. 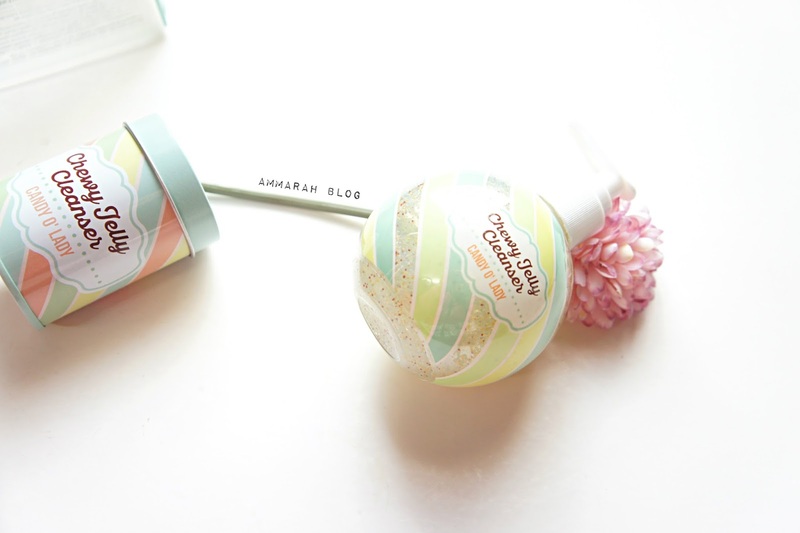 Cake pop candy mask for calming the skin. Honey milk candy mask for skin Regeneration. Little witch candy mask for anti-aging. These masks are made of transparent thin layer of micro fiber sheet which contains lots of essence and tightly attach to the skin to deliver the effective ingredients. 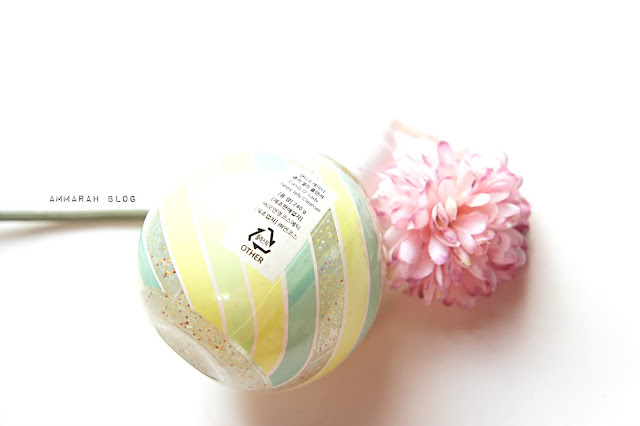 I used the Cake pop candy mask which is for calming the skin which have amazing cooling effect and it really soothes my skin, the essence was not tacky at all and feels light weight. Seriously guys just buy them and thanks me later. I will try to make a separate post about these mask or else I will review them on my Instagram. Candy O lady mist are also available in two different types Pink grapefruit scent ade mist and Blue lemon scent ade mist (this controls the sebum and provides the moisture) .I will be reviewing the pink grapefruit ade mist. 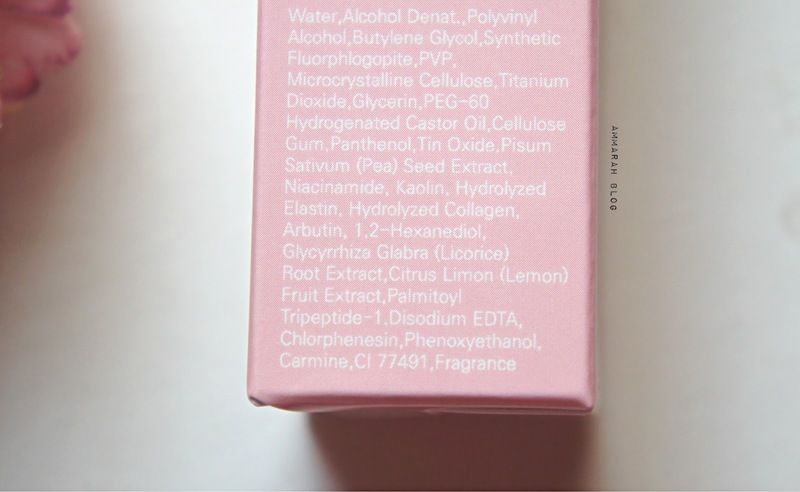 Grapefruit extract: It contains a vitamin c which provides antioxidants and active the skin formation. 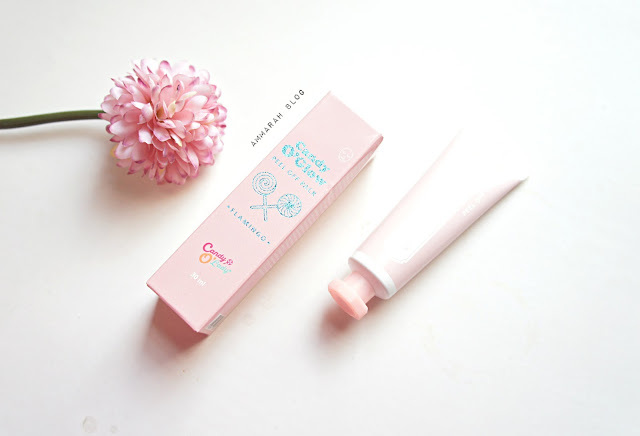 It came in a cute round packaging just like chewy jelly cleanser with the spraying pump on top but this one seems like a light bulb and grapefruit theme makes it much more adorable. This mist came in two sizes for traveling one can go with 60ml as it is quite handy and the bigger size is 130ml. 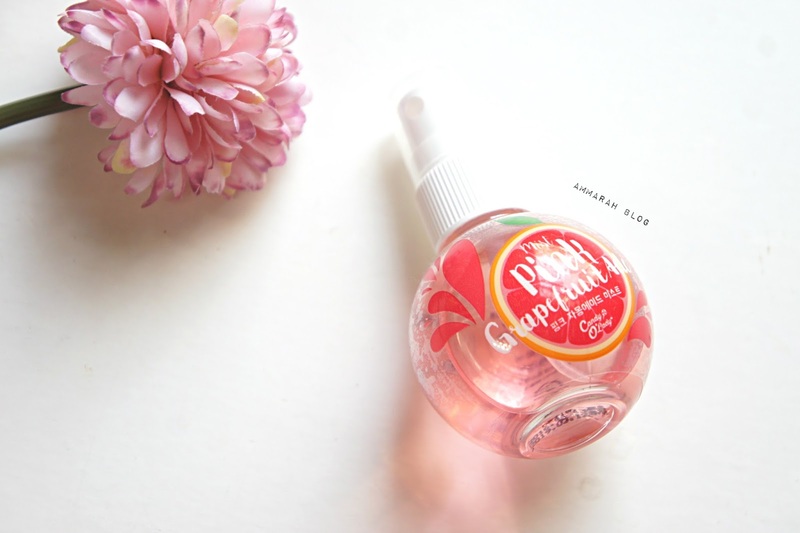 It has grapefruit scent to it which smells nice and more on the sweet side. 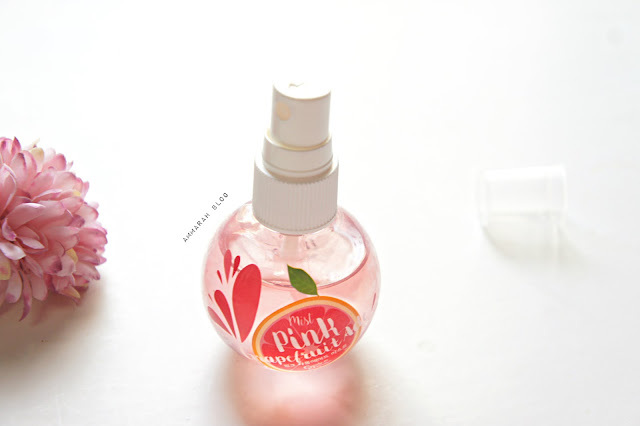 This mist is not liquidy as most of mist are and has a bit of viscosity to it and this mist can be described as a gel kind mist, it does not feel heavy on the skin and really moisturize the skin and keeps the skin protected from the external environment. I have been using it in the morning and night routine as well all over the day whenever I feel like my skin is drying out. It does leave a slightly glowy finish to the skin. I like to spray on my hand and then pat into the skin but you can straightly spray it on the face. 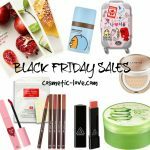 Candy O Glow peel off mask packs are available in total three different types, includes the Glow peel off mask pack Flamingo ( the one i am reviewing ), Glow peel off mask pack Indigo and Glow peel off mask pack Charcoal. Water, denatured alcohol, polyvinyl alcohol, butylene glycol, synthetic fluorphlogopite, PVP, Microcrystalline Cellulose, Titanium dioxide, Glycerin, PEG-60 Hydrogenated Castor oil, Cellulose gum, Panthenol, Tin Oxide, Pisum sativum (Pea) seed Extract, Niacinamide, kaolin, hydrolyzed elastin, arbutin, 1,2-hexanediol, Glycyrrhiza glabra (licorice) root extract, Citrus limon (lemon) fruit extract, Palmitoyl tripeptide-1, disodium EDTA, Chlorphenesin, Phenoxyethanol, carmine, CI 77491, fragrance. 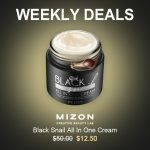 It claims to the skin bright and resilient skin with flamingo, peptides and pea extracts and also helps with the skin elasticity while kaolin removes skin wrinkles. I have been using it quite a lot lately and hands down to the cute pink pastel packaging. It reminds a lot of glossier packaging, this mask pack came in a plastic tube where you have to squeeze the product out. 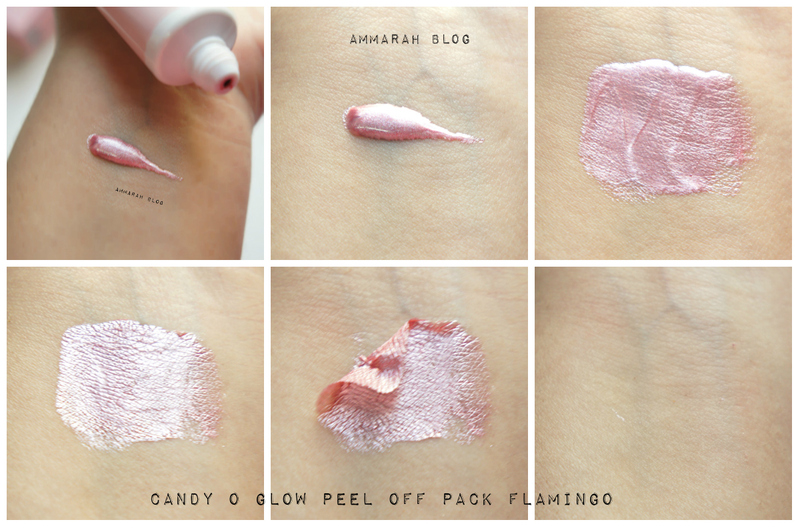 I love the mask itself looks, I seriously looks like a pink highlighter, the consistency is thick and it spreads easily on the skin. I put it on for 15-20 minutes or until it totally dries down and then simply peel it off, just for the record I use a thin layer which is enough to peel it off later. It does brighten the skin and makes it more firm. The pores looks also pretty clean after using it. Try out Candy Crush Cleanser Here . 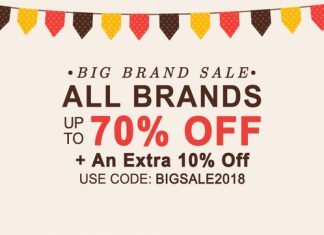 Next article[CLEARANCE SALE] Up to 75% OFF! 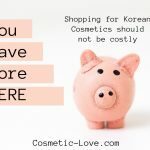 No 1 Cosmetic Shop with the best price, selling Korean brands such as ; Etude House, Laneige, Missha, TonyMoly, Skinfood, The Face Shop, Innisfree, Mamonde, Laneige, Holika Holika, Banila Co, Too Cool For School and more!